Initiatives for the Future of Great Rivers wants a global and integrated approach for water. Its contributes to enriching national and international debates on water, in accordance with the others players. 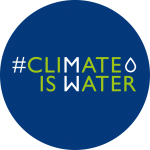 #ClimateIsWater initiative was launched in late-2015, in the run-up to the Paris COP21, as an international initiative for public and private organizations acting for water. Its long-term aim is to strengthen the position of water within the climate negotiations and the UNFCCC processes. The #ClimateIsWater initiative is coordinated by the World Water Council. The World Water Council is an international multistakeholder platform organization whose mission is to mobilize action on critical water issues at all levels, including the highest decision-making level, by engaging people in debate and challenging conventional thinking. The Council focuses on the political dimensions of water security, adaptation and sustainability. It gathers 300 organizations from more than 50 countries. The French Water Partnership is the only platform for all the French water stakeholders, public and private, operating at international level. For more than 10 years, the FWP has been advocating for water so that it becomes a real priority in sustainable development policies worldwide. The FWP also stands as a facilitator for exchanges between the French and international water know-how. The FWP’s mission is also to showcase at a global level France’s expertise and approach to water management. The FWP currently includes over a hundred members. The third and fith session of IFGR, dedicated respectively to the deltas (Avignon – October 2016) and the pollution (Lyon and Annecy – October 2017), were awarded the Conference of the Parties label. Hello, I invite you to visit the following page, on the Initiatives for the Future of Great Rivers (IFGR) website :Our network https://www.initiativesrivers.org/ifgr/our-network/ Best regards.